Use the form below to inquire about Riverside Forest Resort at Haripur . Use the form below to reserve for Riverside Forest Resort at Haripur . 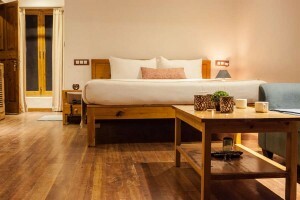 Air Conditioning (Hot & Cold), Free Wi-fi Internet Access, Hot and Cold Running Water, TV with cable connection in each rooms. 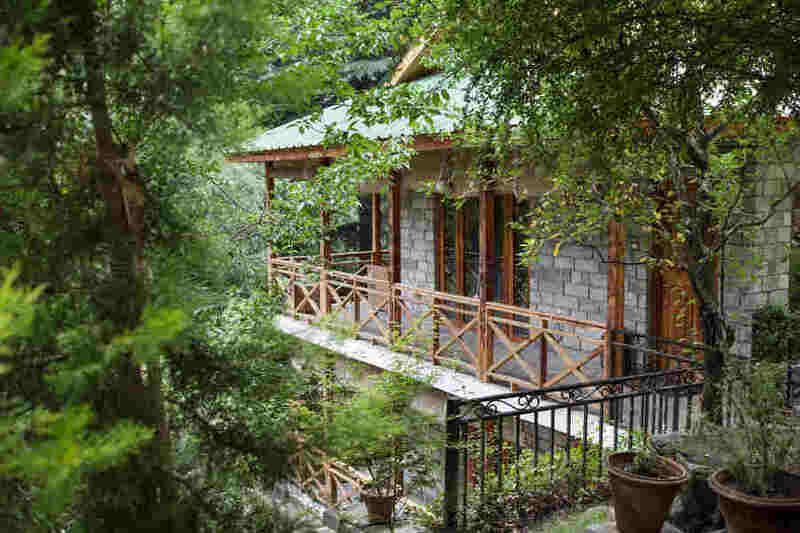 This Riverside Forest Resort at Haripur sits in an idyllic setting exuding rustic charm and unparalleled luxury. Nuzzled up close to the “Valley of Gods “, Manali, this Riverside Forest Resort at Haripur is set inside a dense forest offering the perfect forest retreat amidst a mesmerizing mountain panorama. Set at an altitude of 6,000 feet above sea level, this matchless luxury resort is a flawless blend of top-notch luxury and serene repose. Great care has been taken towards conserving nature here. 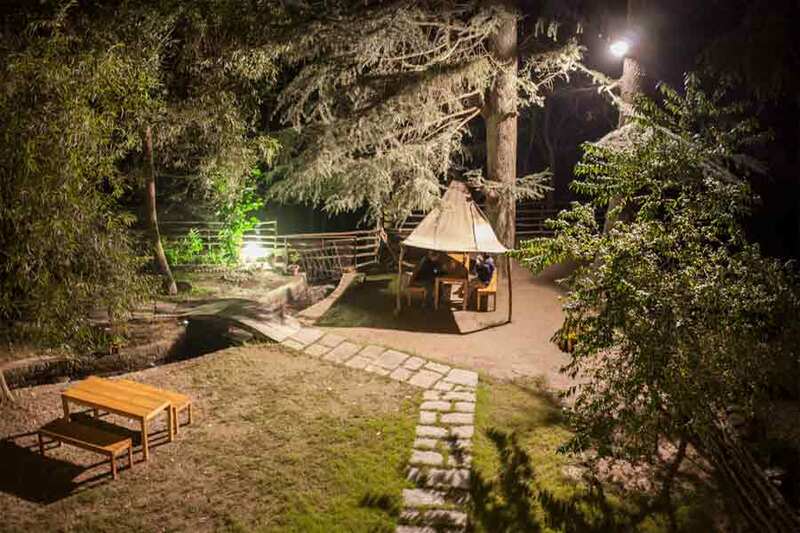 This Riverside Forest Resort at Haripur is surrounded by pine, deodar, and oak trees. Laden with pebbles and crystal clear water, a placid stream flows gracefully through this charming resort, adding more depth to the experience of living in the woods. 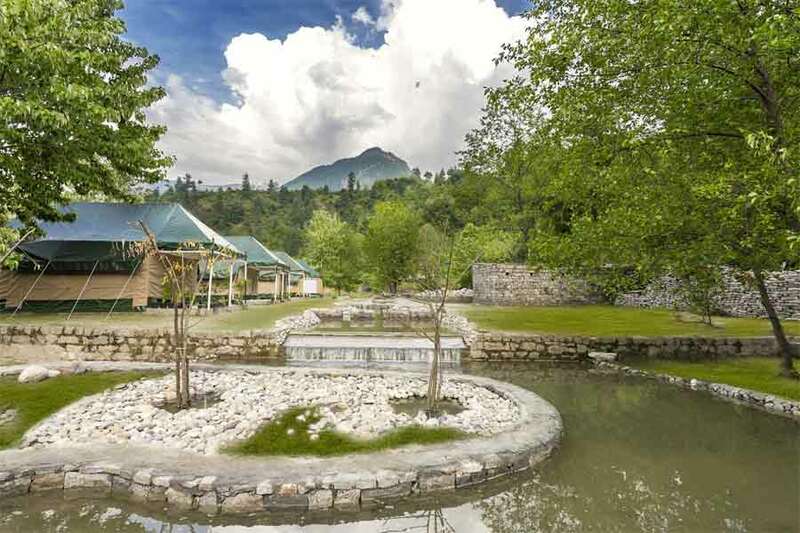 The rock clad exterior of this Riverside Forest Resort at Haripur has a hint of wood and wrought iron accomplishments that give it a classy look. The greenery of the forest and landscaped outdoors provide a stunning backdrop to the exterior. The rustic yet sumptuous cabins and cottages are spread around 30 acres of pure nature, to offer you intimate and secluded accommodations. The road that leads to the cabins and the reserve forest where the campsite is built are secluded havens to nurture unforgettable moments that would linger in your memories for a lifetime. 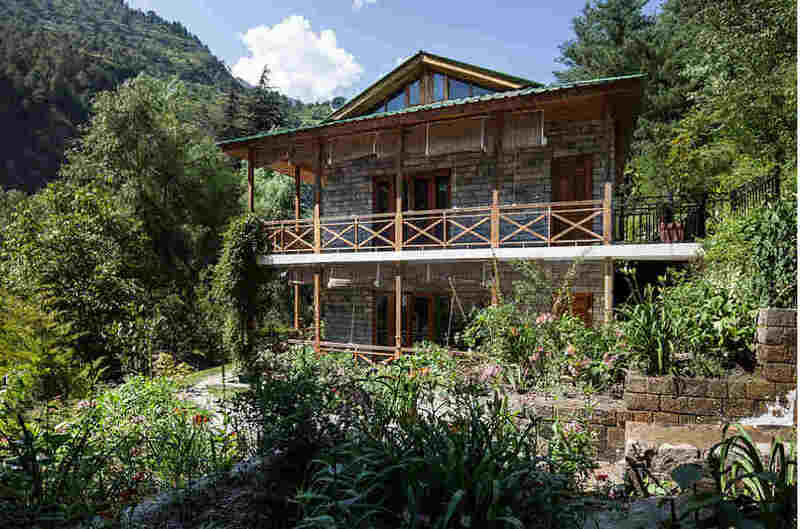 The cabin accommodations are scenically set overlooking the Himalayan mountain ranges and the stunning valley beneath. The interiors are crafted with wood and glass. 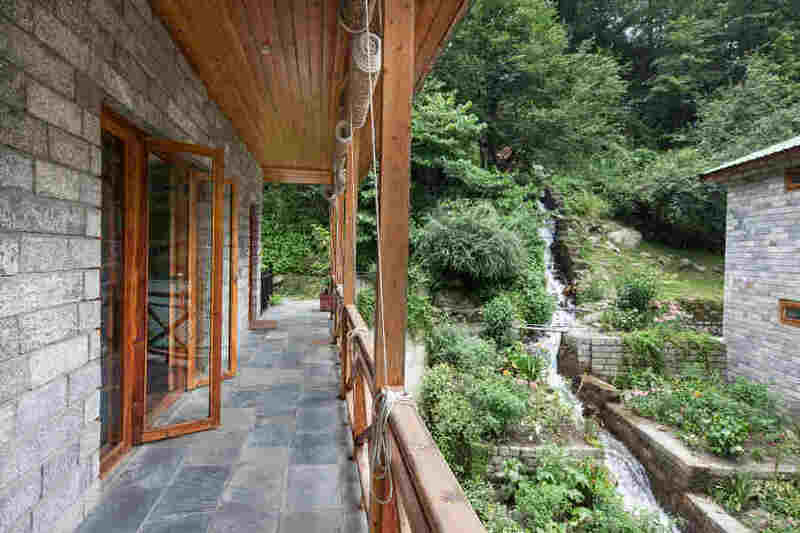 The twin balconies here offer extravagant visuals of mountains, valleys, gardens, streams, and the forest. 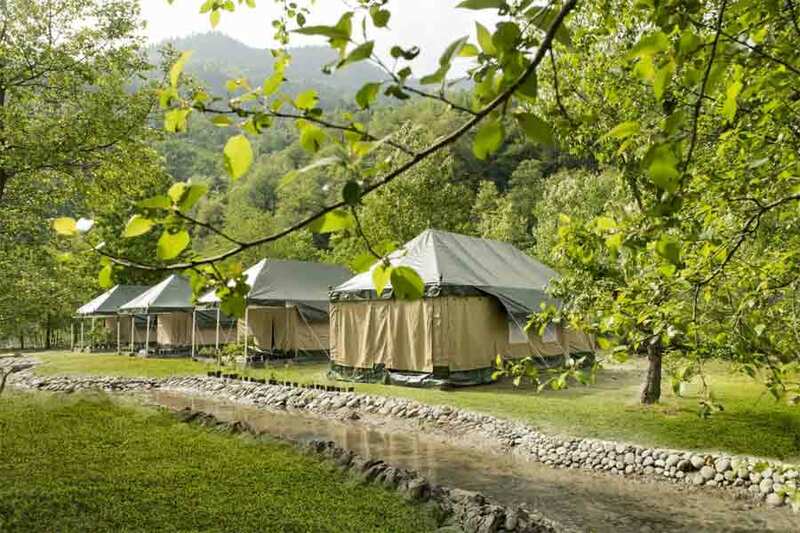 The luxury tents at this Riverside Forest Resort at Haripur are set deep inside the woods and a short stroll through the heavenly scenery will take you to them. These tents are cocooned near the beach, on the banks of the Beas River. At this luxury camping site, sleeping bags and tent pitches are replaced by a king-sized bed with en-suite bathroom and private patios. 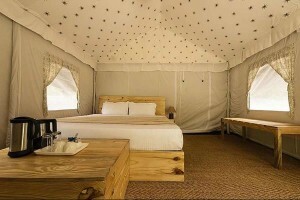 The cloth ceiling and interiors recreate the feeling of camping with an opulent twist. As night falls, the clear sky is lit with innumerable stars to provide the right setting for a romantic bonfire and barbecue dinner. The two restaurants at the Resort serve international cuisines prepared by a team of eminent chefs. Dinner settings can be arranged outdoors and candle light dinners are perfect for honeymooners. Accommodation in Superior Rooms with excellent views. Tea and coffee-making facilities in the room. Fruit basket in every room. Charges will be applicable to children above the age of 5 years. Check-in is at 2.00 pm and check-out is at 12.00 pm. Early check-in and late check-out is subject to availability and is chargeable. Season 1 - January 4th to 15th April & July 6th to 22nd December. Season 2 - 16th April to July 5th & 23rd December to January 3rd. Booking shall only be confirmed on receipt of 100% advance amount. All bookings are tentative unless paid for in advance. The booking is not confirmed until we send you a booking confirmation. In case we receive the payment and there are no rooms available, full booking amount will be refunded. Accommodation for drivers is provided free of cost about 15 minutes away from the resort. Food can be arranged as well at a nominal charge. Children of all ages are welcome. Charges will be applicable above the age of 5 years. More than 30 days before check-in - 75% of the booking amount will be refunded. Between 15 and 30 days before check-in - 50% of the booking amount will be refunded. Less than 15 days of check-in or no show - no refund applicable. Many activities that will bring you closer to nature have been customised by the resort so that you can take home exciting memories along with spectacular scenic visuals. The entire 30 acres of the resort can be explored through guided treks. For a unique experience, set out on a heart racing trekking adventure up to Rohtang. If this is not your cup of tea, go mountain biking. Explore the terrain in an eco-friendly style with a world class fleet of mountain bikes provided by the resort. Paragliding experiences are not to be missed, especially if you are an adventure enthusiast. This flying experience not only lets you feel the adrenaline rush, but literally lets you savour a panoramic bird’s eye view of the towering Himalayan peaks. Another quintessential activity at Manali is river rafting. 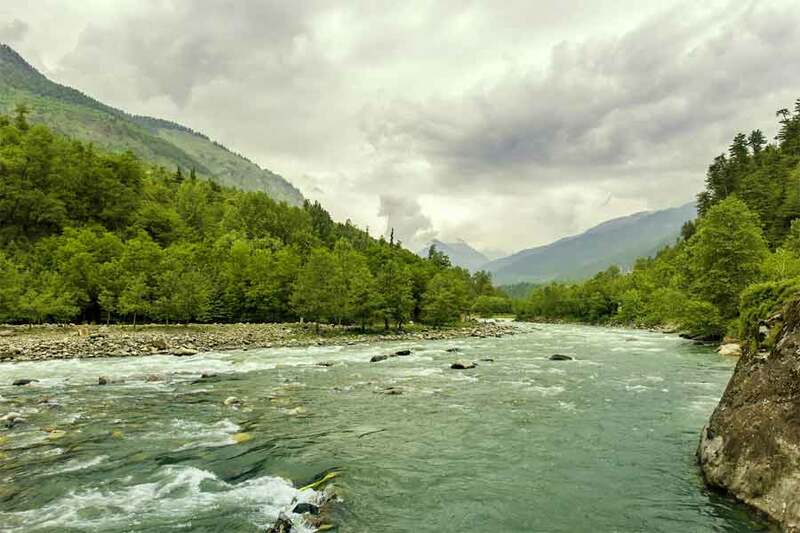 Feel the thrill as the raft rocks you along the mighty Beas River. The duration and length of the rafting session can be decided as per the convenience of guests. And if you are at the resort during winter, then be sure to try skiing on the pristine slopes. If extreme adventures are not what you are aspiring for, set out on a nature walk through the river banks, relishing the sun and the beautiful beach. Meditating in these environs gives rare peace. A game of tennis or volleyball can be arranged at the beach. Try your hand at fly fishing as the locals do and if it’s your lucky day get ready to enjoy a sumptuous meal with your catch. Picnic snack, cocktails, or meals can be arranged by the riverside on advance notice. And indoor games are available if you seek a quiet day. You can also explore the popular attractions in and around Manali through sightseeing trips. Hadimba Devi Mandir , Manikaran, Jogini Waterfall , Nehru Kund , Bijli Mahadev Temple , Rohtang pass , Solang Valley , Naggar , Kasol , Hampta Pass , Jhanna Falls , Club House, and Kullu are must visit destinations. Shimla is the nearest airport to Manali. But Chandigarh has more frequent flights connecting it to the rest of India. Chandigarh to Manali is approximately 310 kms (appx 8 hours). From Chandigarh, drive towards Kharar and take NH205. Continue on NH205 till Nauni Chowk. On reaching Nauni Chowk, drive straight to reach NH154 and drive on. At Ghaghas Chowk, NH103 merges with NH154. Stay on NH154 until you cross Mandi. After crossing Mandi, NH154 deviates . Head straight without taking the left to the bridge. The straight road is NH3. Drive on NH 3 towards Kullu and Manali. After Kullu, drive on SH 29. After crossing the towns of Naggar and Barkhs on this highway, Haripur is the next town.